I recently stumbled across this interesting new piece of work by Mr Nikola Sarić, a Serbian artist currently living in Hannover, Germany. (Reproduced here with his kind permission.) 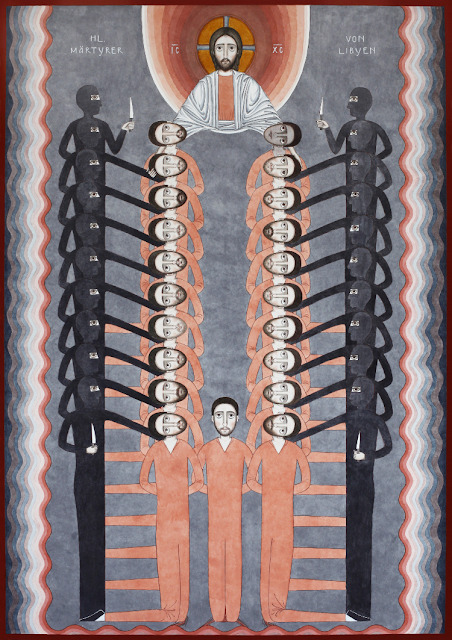 It represents the martyrdom of the Coptic Martyrs of Libya, a group of Egyptian Copts who, as I am sure most of our readers will remember, were working in Libya when they were captured by Islamic fanatics, and had their throats cut on the seashore this past February. 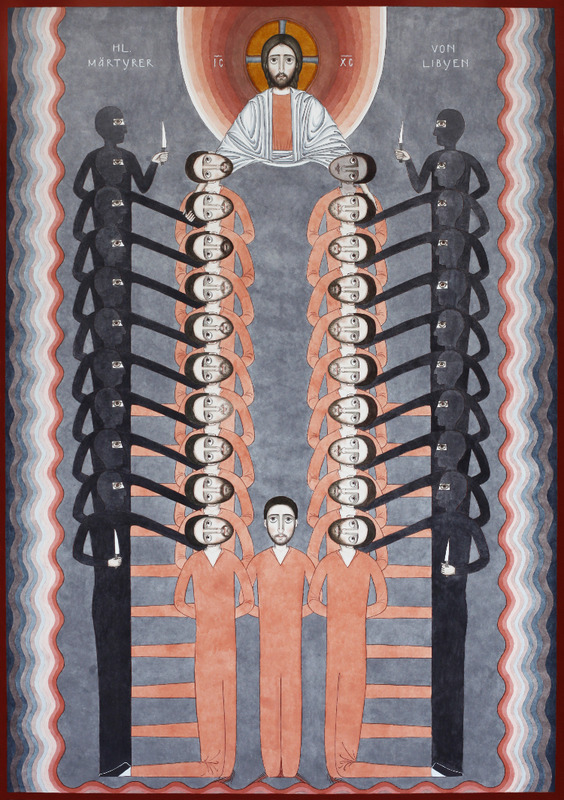 With them was a man named Matthew Ayariga, from the Subsaharan nation of Ghana, who was not himself a Copt, but on witnessing the martyrs’ courage in choosing death over denial of their Christian faith, joined them in confessing Christ, and professing their faith as his own, saying “Their God is my God. ” The Coptic Pope, His Holiness Tawadros II, officially recognized them as martyrs, and ordered that their commemoration be inserted into the Synaxarium; their feast is kept on February 15th.